One of the challenges with membership retention within our jurisdiction is keeping members active and involved in their Lodge. One possible cause for the lack of participation is a lack of understanding of the fundamental meanings of the degrees of Freemasonry. This thought brought a small group in the 27th Masonic District together. The group, led by Brother Brian A. McCollim, PM, Masonic Education Chairman for the 27th Masonic District, brainstormed for several weeks on how to best tackle the issue. It was finally decided to create a one-day symposium for Masonic Education. However, the goal wasn’t necessarily teaching; rather the goal was to teach others to ask. The group set out with the goal of creating more questions than answers. The idea was that self-education comes from desire to learn. If a spark can be created and encouraged often, then the journey becomes more clear. Having many questions is the cause of a great education. The date finally chosen was January 16th, 2016. It was expected to have an attendance of perhaps twenty-five. After fifty Brothers entered the door, it was apparent that many were eager to learn. 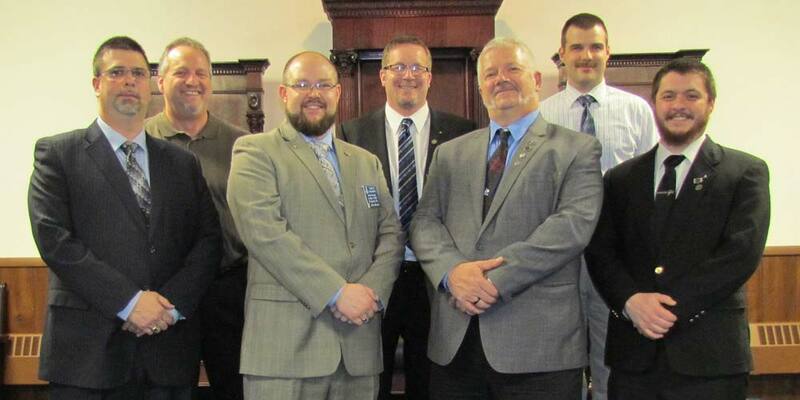 Kittanning Masonic Center had a nice, lively crowd that filled the entire North side of the Lodge room. Nine Brothers presented programs on a variety of topics, ranging from the philosophical to the factual, incorporating historical significance and spiritual meaning behind all of the things that we do in our beloved fraternity. When polled, it was nearly unanimous that the District was open to having more educational events. The goal is to host these events at least twice per year and encourage the Lodges to make Masonic Education a priority.